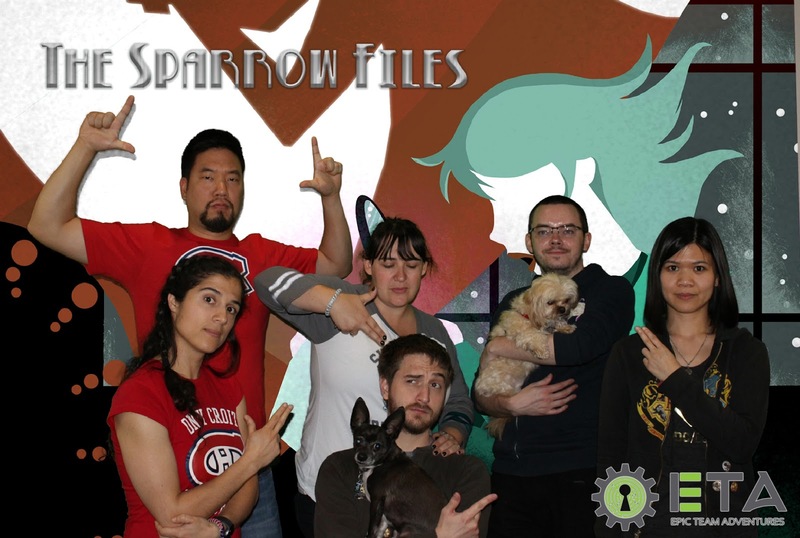 "The Sparrow Files" was the third room we played at Epic Team Adventures (ETA) and this was more like a traditional escape room rather than a quest or a puzzle intensive session like ETA's Storybook Legends. The scenario from their site says you "will be immersed in the most enigmatic cases of P.I. Carmen Sparrow: collecting information from various sources, examining evidence for clues, investigating every suspicious detail, and racing against time to foil the evil plot". This film noir theme takes place all in one room so it's good to know this before hand to set expectations. 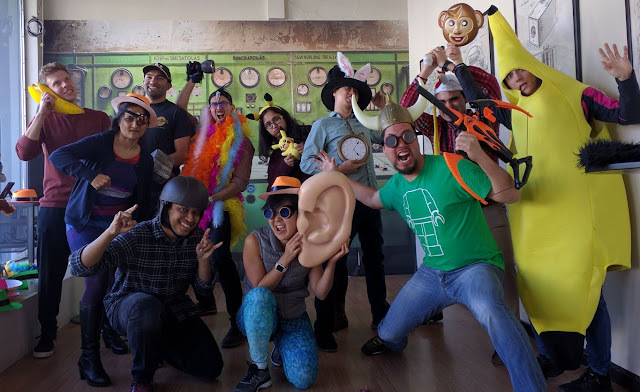 I was debating whether saying if an escape room didn't have extra rooms was a spoiler, as it was not obvious this was the case for this game, but I feel knowing this before hand would make the experience better so, in my opinion, this is the opposite of a spoiler. The set and the story were great and highly immersive. The familiar narration of the film noir genre was present and the look and feel of everything was spot on. The puzzles were a mix of paper puzzles and tangible elements and the storyline was quite important in this game. We enjoyed the automation of the reveals and the overall mood of the room. There was one puzzle that was somewhat tedious given if you didn't start off correctly (no indication on what was "correct") it took some time to reset. One of the biggest challenges was that this room relied heavily on audio clues which can be tricky if you aren't used to this or have a loud group. We later learned that you could replay the audio but it wasn't something we had thought of at the time. The ending of the story is spectacular and it really does make you feel like you were in your own film noir.